Despite reviewing a different TV show season pretty much ever week of the year, I find myself constantly playing a game of catch-up with these reviews. I guess that just goes to show that I somehow watch more than 52 different seasons in a year - or something along those lines. Sure, there's the odd week that the TV review is replaced by another article on a Thursday or something like that. Modern Family is a easy show to "forget" since the nature of its stories are safely discrete from one another and almost timeless. And while each episode still falls into a larger sense of in-show continuity, it's not like the show is following a strict narrative. As is favored by many sitcoms, each episode can pretty much stand on its own and that makes it easier for viewers to pick up the show on the fly regardless of the many seasons that had come before. The show is consistent in its general level of enjoyment but it has certainly reached that point of being the sort of comfortable show that one can return to time and time again. This doesn't mean that it's become a bad show, but it isn't exactly innovating either. Synopsis: Modern Family is a single-camera US sitcom created by Christopher Lloyd and Steven Levithan. The show has received numerous awards and nominations over the years and is well into its fifth season as of the time of this posting. The season starts with a few interesting sub-plots. Cam (Eric Stonesteet) and Mitchell (Jesse Tyler Ferguson) are having some trouble with their efforts to adopt a second child. And it's not going to be any easier now that their adopted daughter Lily (Aubrey Anderson-Emmons) is already of school age and thus more capable of questioning things. Gloria (Sofia Vergara) is uncertain how to reveal the news to her husband Jay (Ed O'Neill) that she's pregnant. And Haley (Sarah Hyland) is off to college, which means that a lot of things are going to change in the Dunphy household. The season naturally had some pretty funny moments and it's a little tricky trying to figure out which ones to highlight in this review. I'll definitely start with "Open House of Horrors" where Claire's love for a good Halloween scare need to be reined in amid other sub-plots. "The Future Dunphy's" was a quirky episode centered around the notion that Claire (Julie Bowen) and Phil (Ty Burrell) get a glimpse of what their family might be like in the future as based on another family with rather similar traits and behaviors. And of course there's "Games People Play" where Phil takes the family out on a trip on a new RV, but this plan can't quite survive Claire's plan to use the powder keg of having all three kids in an enclosed space to help cancel the trip. Special mention has to go to "The Butler's Escape" where Luke (Nolan Gould) tries to quit magic despite his father's enthusiasm for the art. It was a great character piece to show Luke growing up into his own and out of his father's influence plus it was amazingly well-directed. Gould has really taken the character of Luke into a completely different direction than I had anticipated back during the first season and he's quite the gem in this cast. He could totally use more screen time. It's not lost on me that I've cited more episodes based on the stories involving the Dunphy branch of the overall Pritchett clan, but that just goes to show that they're a lot more fully realized as a family unit. Given they do follow the traditional model of a heterosexual couple with a stay-at-home mom and three kids and that may be why the writer's have an easier time with their stories. To be fair, Cam and Mitchell still get decent stories as well, but at times I think the specific direction given to Eric Stonestreet sort of sets the tone for the limits of their story potential. Sending Haley off to college was a necessary step in the overall meta-plot of the show and certainly a good opportunity to finally help Haley become more than just the ditzy daughter. At first it seemed like she was going to be stuck in that mold forever, but as the season progressed it was clear that the writers had a longer-term plan in mind. 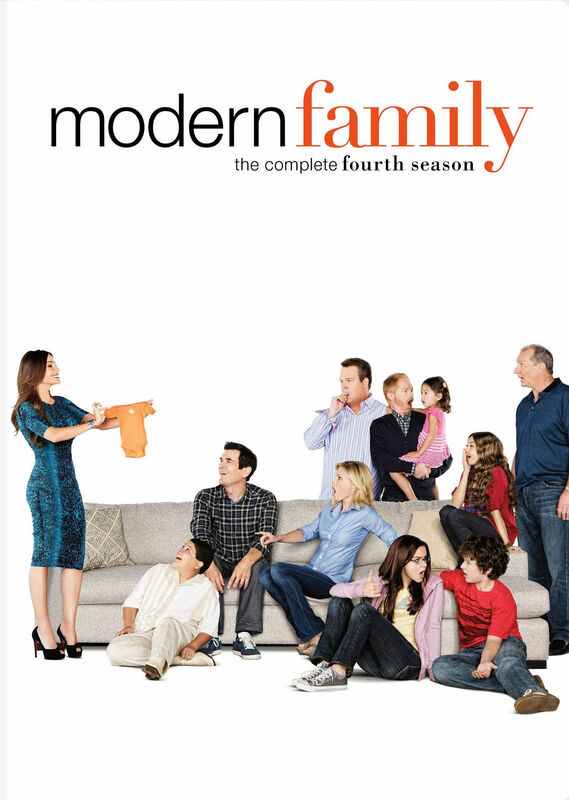 The fourth season of Modern Family was funny enough, nothing all that exceptional. Sure the show continues to make audiences laugh, but in a way I felt that the writers were directed to focus on "more popular" characters in terms of development, thus leaving others to languish a bit as caricatures. Still, the season gets a decent 3.5 moments of Luke demonstrating how natural magic comes to him out of a possible 5.